It is well documented in medical research that children find visiting hospital, no matter how routine the visit or how often they come, a frightening and stressful experience. Art has proven throughout paediatric hospitals all over the world, to be an invaluable aid for staff in either distracting children, or positively engaging children receiving sometimes painful and frightening treatments by supporting the individual needs of each patient. Great Ormond Street Hospital (GOSH) is a world-renowned international centre of excellence in child healthcare. 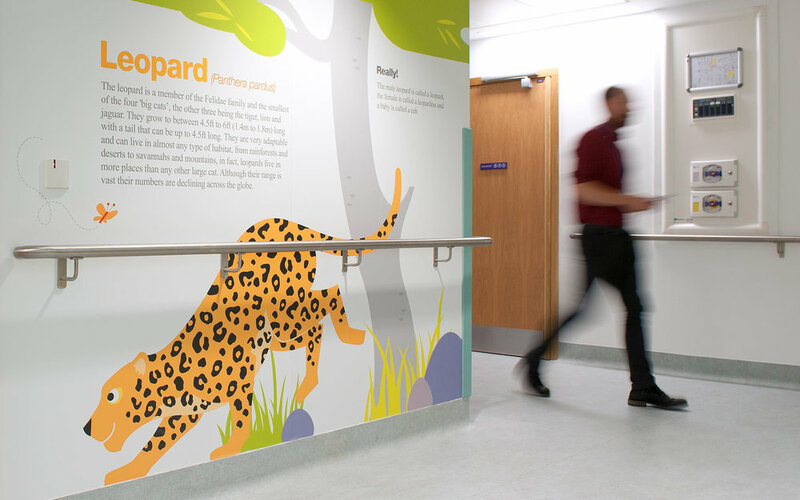 Cambridge-based design and communication agency Sable&Hawkes was commissioned by GOSH to work with them on a major new environment and signage project. 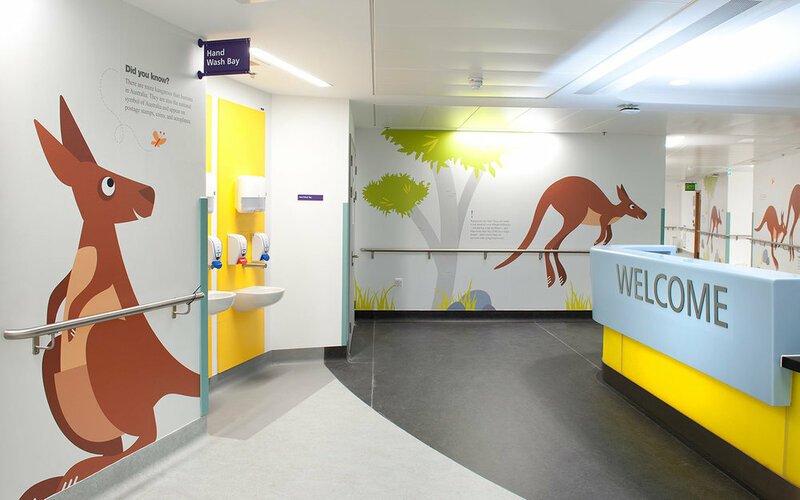 The project was to deliver seven creature characters and environments, icons and signage across five floors of the hospitals major new development, the Premier Inn Clinical Building (PICB) – the second stage development of the Mittal Childrens' Medical Centre. Sable created all the digital character illustrations, icons and graphics in house as well as project managing their print and installation. Over the past decade Sable&Hawkes has become expert in the development and delivery of such visual arts projects.